We can’t stop the good vibes! We finished our 5th Expo Pack México with a record number of visitors, customers, partners and collaborators. 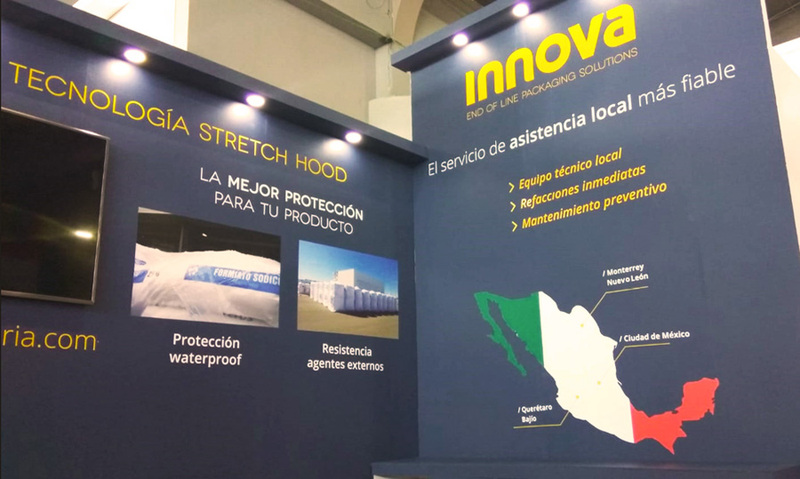 Mexican visitors were able to see the advantages of Stretch Hood for pallet packaging, Innova’s flagship product at the fair. In this edition, much more companies from various sectors showed their interest in Stretch Hood technology and acclaimed its benefits to optimize their packaging process. Precisely Mexico is one of the most important growing countries for Innova, with increasing customers and partners year after year. In this spirit, Innova presented at the fair its local Technical Support Service throughout the country. 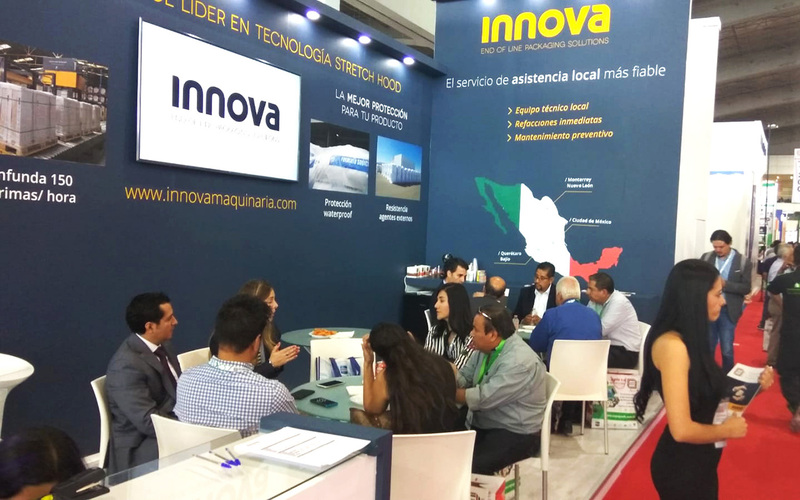 In order to offer this service, Innova has several branches in the country (such as Mexico City, Querétaro and Monterrey) from where it provides local support and 360º consulting on packaging projects. Being close to our customers and offering a fast and immediate service is one of our main objectives. As a result, more companies trust in for their packaging solutions each year, as for example Vitromex, one of our outstanding customers in the tiles sector. 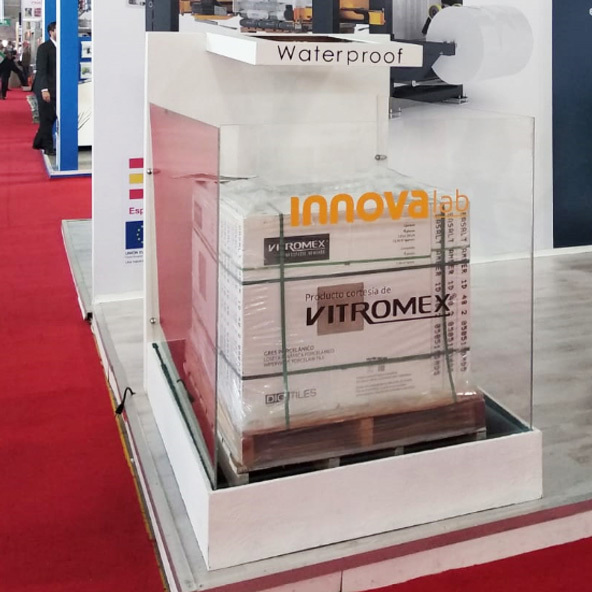 Vitromex collaborated with Innova at Expo Pack 2018 showing two pallets packaged with Stretch Hood Technology. Thanks to Vitromex’ product samples, visitors from many sectors were able to see for themselves the quality, impermeability and resistance of the packaging, as well as the visibility and transparency of the hood. 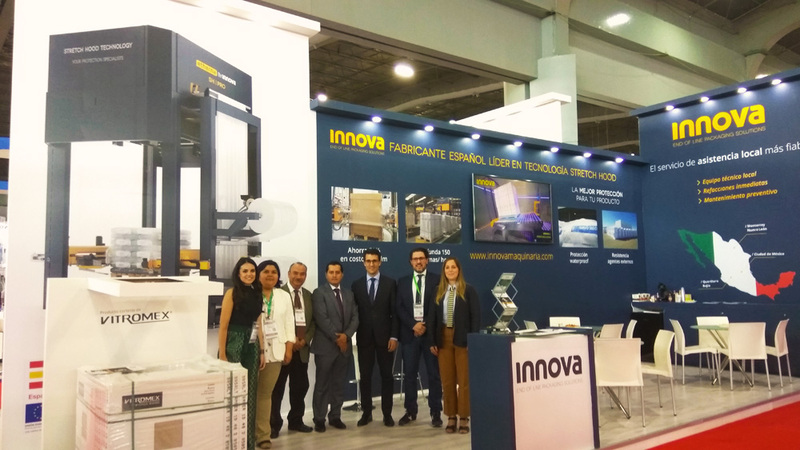 During the fair, we showed some tests from our INNOVALab Test Area, such as the inclination (at our distributor’s Eurotecsa booth) and the waterprof (at Innova’s booth). In this Expo Pack edition, we also wanted to show our “Innova DNA”. Innova’s DNA values ​​are reflected in the day-to-day of their projects, in the dedication and local support to the client, in technological innovation, but above all, with a GREAT HUMAN TEAM composed of Innova and its network of distributors in the country. From Innova we want to thank the presence and collaboration of our distributors Eurotecsa and ACS! Thank you for visiting us at Expo Pack 2018 and see you at the next fair!